Get ready for international superstar chef Guy Fieri to take you on an appetising culinary journey to delight your palates. Opening soon at The Dubai Mall, the standalone Guy Fieri’s Kitchen will feature his extensive signature menu while the Dine-in Cinema at Reel Cinemas – The Dubai Mall will offer movie-goers the exceptional choice of feasting on his biggest and boldest dishes as they watch their blockbuster films. With 170 seats, food lovers can look forward to an extravagant culinary treat picking their choice from an extensive menu. 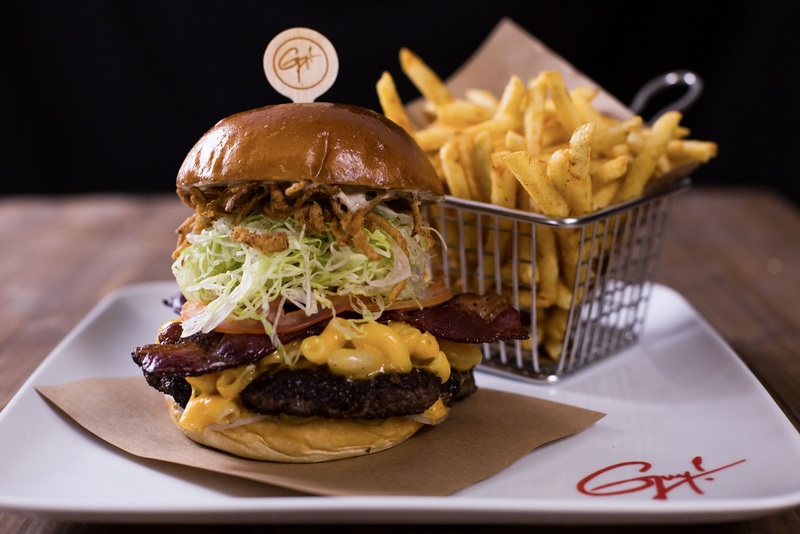 The Guy Fieri menu reflects his signature style, taking inspiration from his most renowned dishes, such as his signature Trash Can Nachos, Tuna Poke Tacos, Chicken Wings, Crispy Chicken Bacon Ranch, Smoked Barbeque Short Rib, Juicy Cheesy Burgers, Triple-Double Mint Pie and much more. The Dine-in Ticket Package at Reel Cinemas includes a starter and a main course each from a sumptuous menu of six starters, six main courses. Restaurant-prepared meals from Guy Fieri’s Kitchen are delivered to the seats of cine-goers, as they enjoy the movie. Alternatively, guests can also pre-book the movie, at only AED 50, and select their meals upon arrival to the cinema. 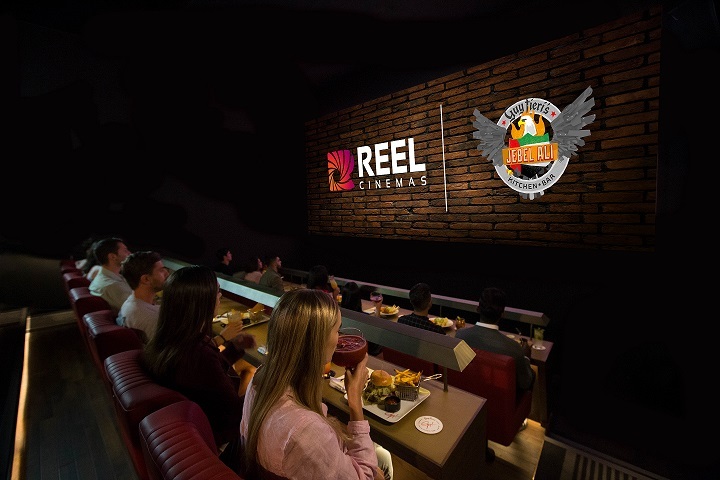 Reel Cinemas, the dynamic cinema brand under Emaar Entertainment, has partnered with chef Guy Fieri to launch the restaurant as well as stand-alone Dine-In Cinemas in the Middle East. The first dine-in cinema as well as the restaurant was launched at Jebel Ali Recreational Club, next to Ibn Battuta Mall earlier this year.